The Resident Evil Marathon was TheSpeedGamers' 14th Marathon and 10th for a charity. This marathon was also referred to as the second Halloween Marathon. Capcom, the creators of the Resident Evil franchise, was involved with the marathon, supplying prizes - including two signed copies of Resident Evil for the PC - and many other Resident Evil games and items! Due to daylight savings time, this marathon was actually 49 hours. 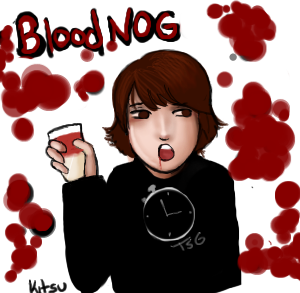 After talking about how delicious eggnog is, Britt decided to mix Blood Energy Potion with eggnog and drink it for donations. 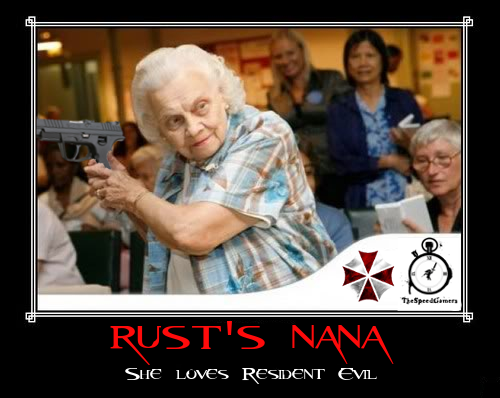 During the drawing for a copy of Resident Evil 5, the winner was surprisingly declared to be Rust's nana. As Rust is a staff member, he is not directly eligible to win prizes. Since his nana was randomly selected, she was allowed to claim the prize.